The law regarding roadkill is not black and white in the UK. Common belief is that you are free to pick up road kill if you were not the one to hit it. But apparently is is the Highways Agency who actually "own" the road kill but don't (or can't) really enforce the rule. However, if you hit a "working" animal like a pig or sheep, you should report it to the police. All I know is that I see a lot of pheasants and rabbits sadly knocked over on the road looking very much intact, which would be an even worse shame if they went to waste. 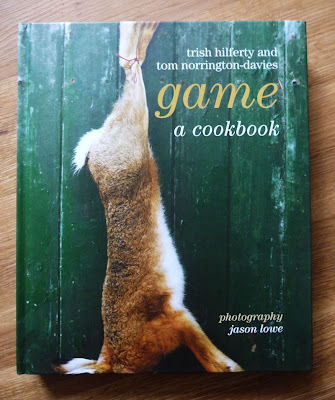 This book contains excellent information on the game seasons and handy preparation notes if you were to bag your own game. Unfortunately hunting it is out of the question for me, not from a moral point of view (I think if you eat meat you should choose well reared and accept how it got to your plate) but because it costs a small fortune to do so. Plus I'm a terrible shot and I don't fancy running around busy A roads, so down to the butcher it was. 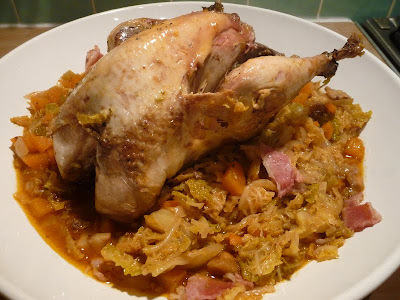 I chose to cook a Pheasant, Savoy Cabbage, Chestnuts and Bacon pot roast. This totally dispelled the notion that cooking game is difficult. This recipe was ridiculously easy, essentially throwing everything into one pot and forgetting it for one hour, resulting in a succulent, tasty pheasant and the most delicious stock-saturated veg and gravy. Admittedly not the prettiest of dishes but a very tasty one indeed. I loved this stock which included wine, brandy and tomato puree and the heavenly smell it created around the house. 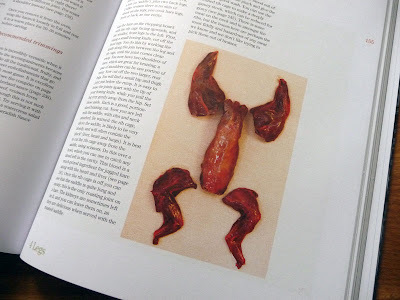 Game: A Cookbook, is sectioned into 2 legs, 4 legs and no legs (trout, pike etc..). 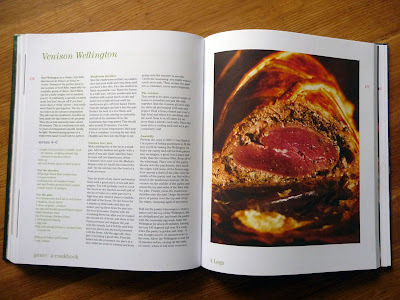 It also contains chapters on trimmings and accompaniments and information on storing and buying game and a few meal plans. What particularly appealed to me was the Guinea Fowl Saltimbocca, Raised Partridge Pie, Bottled Rabbit and a recipe for dry curing wild boar. Some of this summer's cherries from my tree are now destined for a recipe for Picked Cherries if the seagulls don't eat them all. I must say this book has really made me more game for cooking game. It looks quite serious (especially the picture of the authors - if looks could kill!) but the instructions are clear, the ingredients nothing out of the ordinary and the recipes achievable. 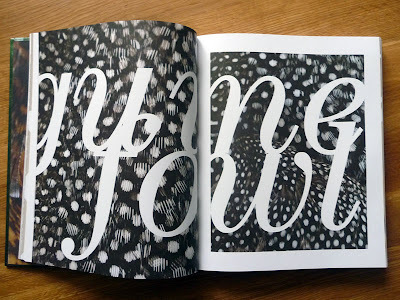 The mood of the book is spot on, the paper stock and the photography perfect. Yes, it does contain lots of pictures of dead things hanging by their feet but it all seems so quietly beautiful. There are gorgeous macro shots of the patterns and colours of the feathers and the food looks as warm, rich and inviting as an open log fire. 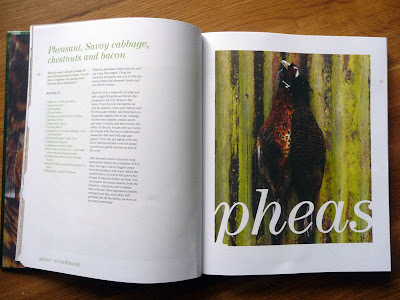 As with all Absolute Press cookbooks I've come across, the typography is simple, well considered and functional. This is an excellent book for people wanting to get into cooking game or those wanting to learn how to butcher and prepare game at home. With thanks to Absolute Press for this review copy.